Samsung is said to be working on a tablet that will run Windows RT and the device is expected to be available in October 2012. Windows RT is a version of Windows 8 that will run on ARM-based processors. The Samsung Windows RT tablet is expected to run on a Qualcomm Snapdragon processor. This is a bit of a surprise since Samsung has its own Exynos family of ARM processors. Apart from third party hardware manufacturers, Microsoft too is getting into the tablet hardware battle. It recently announced the launch of its own Surface tablets. There will be two models available of the device – Windows RT and Windows 8. With the launch of the Surface tablets and third party hardware support, Microsoft is gunning to take a large chunk of the tablet market share currently dominated by Apple with its iPad. Samsung isn’t a new player in the tablet market. It has launched a plethora of tablets that that run on the Android OS as well as a few Windows 7 tablets. According to the Telegraph, Apple is leading the market with a 58% market share. Samsung is far behind with 11% and this includes both the Windows 7 as well at their range of Android tablets. Other manufacturers that are expected to launch the Windows RT tablets are Asus, Acer and Toshiba. Hewlett-Packard has decided not to support Windows RT tablets but will introduce tablets running Windows 8. 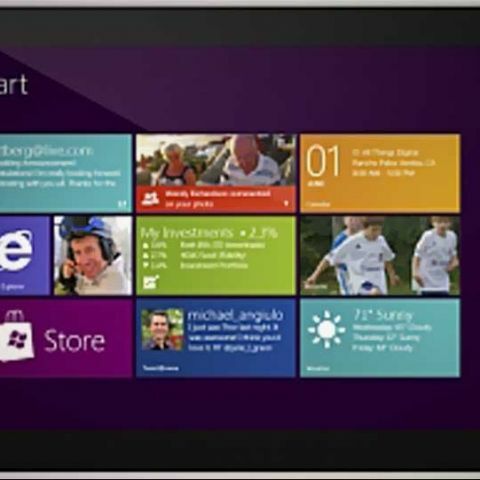 The Windows 8 version of the tablet runs only on the x86 chips. which is the best tablet around 12 k ?